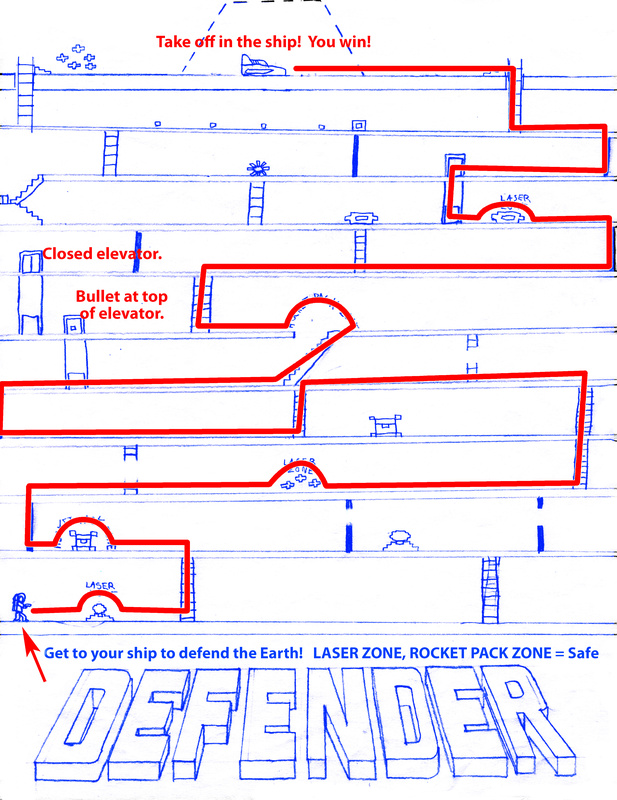 Concept: Defender ©1980 Williams - STAFF: Designed and programmed by Eugene Jarvis, Larry DeMar, Sam Dicker, and Paul Dussault. This derivative artwork displayed in tribute and under Fair Use. Imagine a side-scrolling prelude to the arcade game, wherein the pilot must race through a compound to his craft, and you have the thrust of this maze. This was really more of a sidescroller in search of an identity.